Yesterday at Temple University’s Fashion and Business Club, Chinazo Enigwe spoke about the online magazine she created over a year ago. 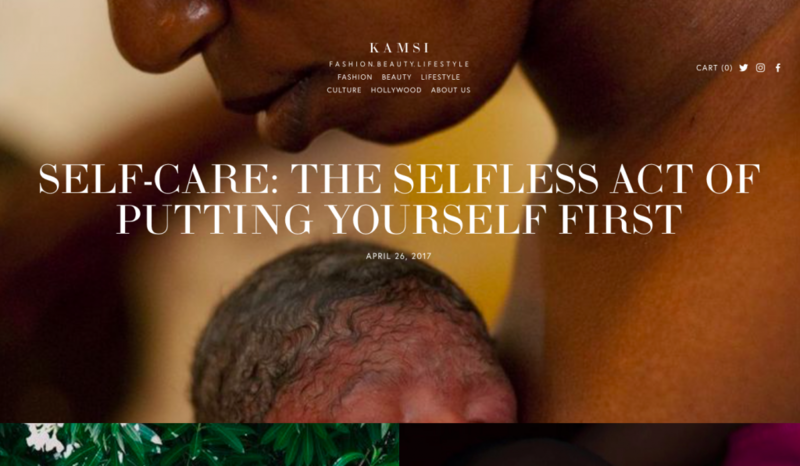 The magazine Kamsi was designed to uplift women of color, promote positive images of people of color and inspire change. This magazine is tailored to add creative inspiration to the young, chic women’s lifestyle. “It was time to be a part of something to change the gates of people of color.” Enigwe said. The magazine has a staff of writers that cover content such as fashion, beauty, lifestyle, culture, and Hollywood. Articles like 4 Easy Spring Makeup Looks to Make Your Melanin Pop and Hidden Figures: The Intelligence, Fashion, and Beauty demonstrate the empowerment this online magazine is bringing to young women. The site’s Instagram and Twitter are linked to the site and contain beautiful images and posts of women in color embracing themselves. 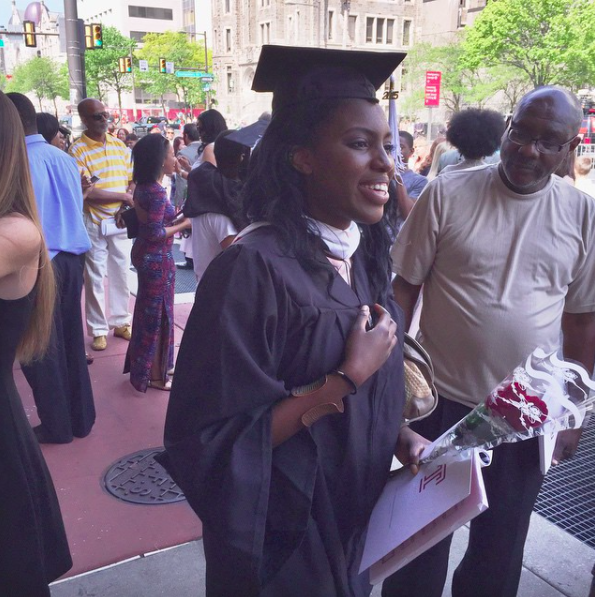 Although Enigwe has always had a passion for media, this wasn’t the field she majored in. She studied psychology and was considered being a psychologist then considered clinical research. After graduating in 2014, her career job was Clinical Research. During that year, she went through a couple different stages. Although she had a secure job, she wasn’t real prepared and she wanted to see what she truly wanted to do with her career. She soon realized that she wasn’t being pushed toward what she really wanted. Enigwe’s mother gave her some advice on her career. Her mother would first speak in Igbo, her native tongue, on Enigwe’s important decision. She used tree branches as a metaphor for Enigwe heading off to the next level. “Make sure you have one branch before you grab onto another one.” Enigwe’s mom said. In other words, her mother wanted Enigwe to make sure that if she had to fall back, she would fall back on something solid. Enigwe grew unhappy with her career and around December 2015 was when her inspiration came. 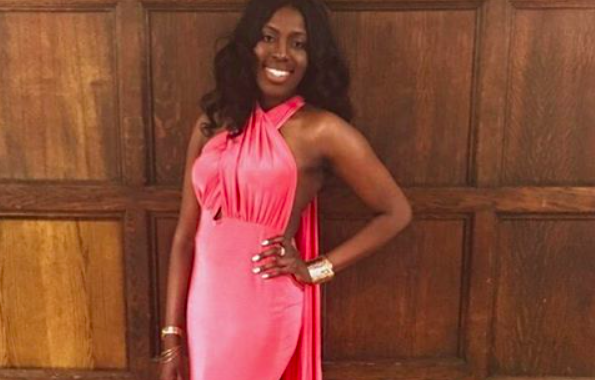 She was scrolling through her Twitter timeline and she suddenly wanted to create the magazine for women of color. Enigwe then went to her other siblings and her father for the logistics. She already had a great network of friends who enjoyed writing and she reached out to them for support. The magazine officially launched in May 2016 and had collaborated with a couple smaller companies. One of these collaborations included a stylist/wardrobe magazine. There were a few setbacks and mistakes along the way but this made Enigwe appreciate the magazine more. “After a lot of ‘I can’t’s’ it led toward inspiration to do more.” Enigwe said. As of now the magazine is only online but there has been some thoughts of possibly making print available. Enigwe’s goal is for the magazine to become as big as Vogue with a mission of the magazine to be obvious and told through its content. She ended her speech by giving out some inspiring advice to those who want to do more.